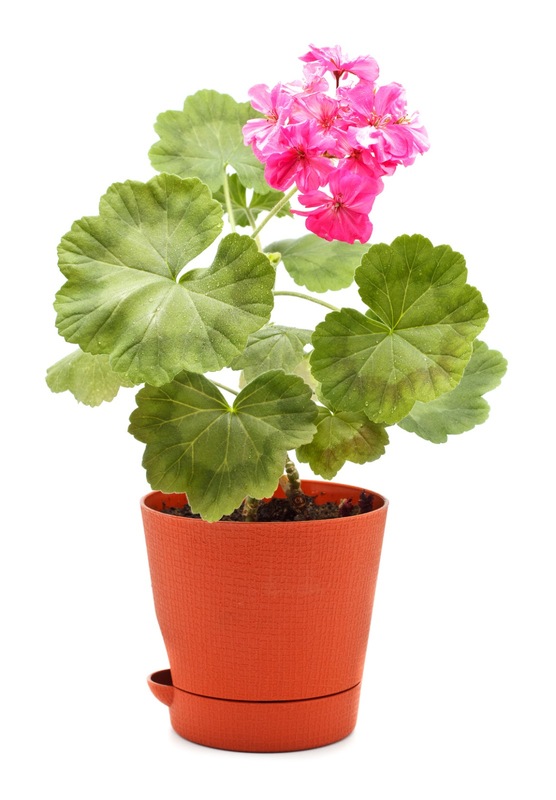 Today is Mother’s Day in the United States, and therefore, throughout Mormondom, hundreds of thousands of women will receive a half-dead flower or a chocolate bar, or some other token of recognition at the end of Sacrament meeting. But before that happens, thousands of youth, or perhaps adults, will stand at thousands of pulpits and recount the story of the Stripling Warriors. It’s an obligatory part of Mormon culture, since it’s the only Book of Mormon story that specifically portrays mothers in a positive way. Unfortunately, most who recount the story will mangle it in the process, selling the mothers short, and reducing the story to a tale about merely teaching sons to believe. Much more powerful lessons about these mothers will be missed in the process. Mother’s Day is a manufactured holiday, of course, and so perhaps it’s fitting we should manufacture a juvenile story to celebrate it. But on the other hand, manufactured holidays notwithstanding, honoring motherhood is not only worthy, but Godly. We don’t do nearly enough to recognize and appreciate, or even understand the role of mothers in the plan of salvation. And so, for those who are interested in digging a little deeper into the faith and fortitude of these striplings and their mothers, here are some parts of the story we sometimes miss. This will necessarily take some groundwork though, so please bear with me while I set the stage. These are very significant blessings that have extraordinary eternal ramifications we hardly comprehend. But we can’t delve further into them today. Instead, we’ll just keep Lehi’s blessing in mind as we move forward 500 years. These converted Lamanites desired a new name that didn’t invoke the cultural memory of the false traditions of their fathers. Therefore the believers took the name, “Anti-Nephi-Lehies” instead of Lamanites. (Alma 23:17) The name invoked their covenant connection to righteous Lehi, but not through Nephi’s seed, nor through Laman’s. In other words, it invoked Lehi’s final blessing, offered 500 years before. 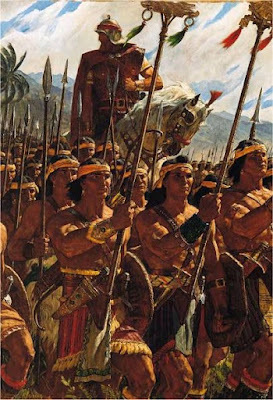 When they became converted, these Anti-Nephi-Lehies laid down their weapons of rebellion, refusing to fight against God or their brethren. (Alma 23:7, 24:6). This became a problem when the old king died, and his son, the new king, also named Anti-Nephi-Lehi, faced a rebellion in his kingdom. Since they were murderers prior to their conversion, they suffered sore repentance when they came to know the truth. Nevertheless, God forgave them and changed their hearts. Therefore, they considered their swords, and their souls, were no longer stained by the blood and sins of their generation, or by the murders they had committed. They desired to retain this cleansing of their souls, and therefore could not ever shed blood again. It’s important to realize this wasn’t just a pacifist demonstration; rather, they considered it a covenant with God that they could not break. (Alma 24:18, 53:14-15) God is the only one who can set the terms of covenants, and so it appears from the text that this covenant was not the idea of king Anti-Nephi-Lehi, but rather was offered by God. The covenanters were tried in their commitment. They faced their Lamanite attackers completely unarmed, prostrated before them and calling upon God as over a thousand of the men were systematically hacked to death by the attacking Lamanites. I can’t bear the horror of the thought of this scene—over a thousand peaceful, faithful men slaughtered while their wives and children, figuratively or literally, looked on. Nor can I comprehend the significance of what was accomplished by their sacrifice. They kept their covenants, retained their righteousness, and sealed the covenant by sacrifice. In so doing, they invoked laws we have long forgotten and hardly understand. The laws of obedience and sacrifice, sealed by the shedding of their blood and the loss of their lives, bound them to Lehi’s ancient covenant blessing in ways that become quite amazing. Their blood cried from the ground unto heaven. Fifteen years later, the Nephites, who had taken in the Anti-Nephi-Lehies and agreed to protect them, found themselves in a desperate situation. They were losing a protracted war with the Lamanites, and couldn’t muster the righteousness to prevail with God. Seeing the desperate situation of their Nephite protectors, the Anti-Nephi-Lehies, now called the people of Ammon, desired to break their covenant and take up arms to fight. But Helaman intervened and convinced them not to do so. Instead, they sent their sons to fight. These were the same sons who were small boys fifteen years earlier when their unarmed fathers had been slaughtered. They had been raised and taught by their mothers, in all likelihood, because most of their fathers were dead, having sacrificed all for their covenant. And so these 2,000 young men went to war, with Helaman at their head. They called him “Father” and he called them “sons.” Though they had no fighting experience, and faced a terrifying battle with a seasoned Lamanite army, they had absolutely no fear. In fact, so remarkable was their courage that Helaman said he had never seen anything like it, even among the seasoned Nephite armies. These young men simply took it as fact that God would not allow them to fall. Period. And neither did their mothers doubt. Having offered everything in sacrifice, including their husbands and sons, these righteous mothers knew more about keeping covenants than perhaps anyone else alive. They also understood what their sacrifice had invoked, not the least of which was Lehi’s blessing that their seed would not be destroyed. And so with confidence born of God’s own power, they sent their sons off to war. And something remarkable happened. No, remarkable isn’t nearly strong enough. Something miraculous happened. Furthermore, despite a desperate battle, not a single one of these young men was killed. Not. Even. One. And in the next battle, they repeated the performance, saving the Nephite armies, while losing none of their numbers. Though over a thousand of the other Nephite warriors lay dead upon the field, every one of the striplings survived—despite the fact that they all received “many wounds” and 200 even fainted from blood loss. It seems these boys couldn’t be killed. It’s just that simple. And it wasn’t only because they had faith. What they had was a covenant, purchased by sacrifice, and taught by their mothers. Their ancient father, Lehi, who evidently had power to promise such things, had promised they would not be destroyed. And they weren’t. And just to prove the point, in the next battle they did it again, winning the battle and losing none of their numbers. In the end, it’s no exaggeration to say these boys single-handedly saved the entire Nephite nation from destruction at its most desperate moment. And so, now that we’ve told their story, let’s learn what we can from it. It’s time to talk about those mothers. These women were so completely, utterly converted to Christ that they would sacrifice anything and everything to obey His will. Words cannot convey what it took for them to not only watch their husbands slaughtered, but to agree with the sacrifice. That’s not iron resolve; iron isn’t hard enough to begin to describe what these women were made of. Though we traditionally identify the feminine with softness, there’s a dimension that’s harder than diamond. We men would do well to remember that when we see one on her finger. This describes those mothers. They sacrificed everything, and by so doing, obtained mighty faith. And it was THIS faith, this wisdom, this profound understanding of covenants they taught to their sons. These mighty mothers understood that their husbands’ lives were not given in vain; that eternal law had invoked a blessing upon their seed; that such a blessing contained God’s own power; and that by teaching their sons to believe and obey, they would make them, literally, indestructible. Where do we find words to even describe such mothers as these? Though their husbands bled and died in covenant, though their sons marched off into battle, it was the wisdom of these mothers that saved their children, their nation, and their posterity forever. Had they not produced and prepared such sons as they did, to fight with the strength of God Himself, by faith won through sacrifice, the Nephite nation would have fallen. The records would have been destroyed. There would have been no Book of Mormon, no restoration, no coming Zion, and no cheap flowers handed out after sacrament meeting. And so, on this Mother’s day, along with being instructed by their example, awed by their commitment, and amazed by their faith, remember the debt of gratitude YOU owe these mothers, who, like Godly women in every generation, loved enough to lay down their all in sacrifice, and in so doing, prevailed with God. Please indulge me a personal note as I close. Such women as I’ve described above are a rare treasure in this world. I’ve been profoundly blessed by three: my mother, my mother-in-law, and my wife. All three have laid what was most dear on the altar, and by so doing have gained mighty faith. Their examples of wisdom, inspiration and love are beyond the reach of mere words. Today, I pour out my soul in gratitude and praise to God for these mothers in my life. This was awesome! Sharing far and wide! Amen, Adrian. To a world made more alive and godly by great mothers. Blessings on the mothers that you love. Thank you for your insights behind the surface story that undoubtedly will be repeated hundreds, if not thousands of times today. Your post would make a terrific alternative to the usual telling. Beautiful tribute Adrian, thank you for taking the time to share. What a great way to start of Mother's Day. I read this outloud to my hubby and sons. "Again, in the sight of the Christian world, have the skill and power of two great nations exhausted themselves in mutual murder. Again have the sacred questions of international justice been committed to the fatal mediation of military weapons. In this day of progress, in this century of light, the ambition of rulers has been allowed to barter the dear interests of domestic life for the bloody exchanges of the battle field. Thus men have done. Thus men will do. But women need no longer be made a party to proceedings which fill the globe with grief and horror. Despite the assumptions of physical force, the mother has a sacred and commanding word to say to the sons who owe their life to her suffering. That word should now be heard, and answered to as never before. In the name of womanhood and of humanity, I earnestly ask that a general congress of women, without limit of nationality, may be appointed and held at some place deemed most convenient, and at the earliest period consistent with its objects, to promote the alliance of the different nationalities, the amicable settlement of international questions, the great and general interests of peace." Mothers arise, and don't give into militaristic propaganda, whether for the state or the church. I wouldn't say my mother and I have been super close over the years. She's had her difficult life and I was quite the heathen child in my younger days. However, I know, if not for the prayers of my mother, I would not be who I am today. Despite our differences, I know she loves me. I am very grateful for her. She has a hope, faith, and love that I only wish to obtain one day! Beautiful Mother's day talk by Sister Crockett in Sacrament meeting. I hope i received it in the same spirit the message was transmitted. If not, then the context in which it was given (previous two speakers) may have influenced how I came to understand her message. The message I took away from Sister Crockett is that a mother's duty is to strengthen her children in the Lord regardless the circumstances in which they find their children or in which their children put themselves as a consequence of their childrens own choices. It must have required a Christ-like love to continue striving with sons who chose not to enter into the covenant of love of their parents. The mothers of the Strippling Warriors knew that, regardless of having choosen to shed blood, their own covenant of love in the Lord and their honoring of a duty to strengthen their sons in the Lord would be blessed with the preservation of their sons in war. Therefore, strengthening a child in the Lord and honoring one's covenant as a parent will be blessed with the preservation of one's children regardless the path they choose. As it says in Deuteronomy, the Lord did not preserve the children of Abraham (the Israelites) because they were righteous (they were not having chosen a different covenant), but because of the gospel covenant Abraham, their parent, had voluntarily entered into with the Lord and his diligent voluntary observation of the duties and obligations of that covenant. Sometimes it is easy to give up on wayward children or those, who like Christ, have fallen out of favor with society. This only speaks to our ego and pride neither of which we find in the mothers of the Ammonites despite their sons choosing a separate path and a different covenant. The minute a parent gives up on a child is the minute a child is lost. The mothers of the Strippling Warriors knew it. Saul of Tarsus is an example to the contrary. Despite having been called as an apostle to lead in the church by the Lord, those things in which Saul had participated and been engaged were not righteous at the time the Lord called upon him. Instead of building up the Christians despite having chosen a different path by way of a different covenant, Saul sought to tear them down. In this thing, where zeal trumps love, the Lord observed that Saul was "kicking against the pricks." Saul repents and develops a love we commonly see in mothers. This love inherent in mothers helped the mothers of the Strippling Warriors to see them as God sees them. It is a love that does not condone choices, but as Elder Kevin R Duncan stated, "sees people not only as they currently are but also as they may become." I wouldn't be too quick to condemn these striplings. The text makes it pretty clear the path they chose was righteous, as was their warfare. Of course, this does not condone all war, nor does it give license to go to war simply because we want to. War ought to always be defensive, and the reluctant last resort, and even then, only at the Lord's command. There is even more significance to this group of youngsters than is described in this post. First of all, though, if we are to question the motives of a particular group, it should be the Nephites, not these warriors or their mothers. You will recall that Nephi's brothers were cursed with a dark skin so that they would not appeal to Nephi's people and they wouldn't mix. While most will say that God cursed the Lamanites, it is the Nephites who were appalled by such a thing as darker skin. They were the ones who were "racist" and disgusted by the lifestyle of the Lamanites. But we should also remember, the Father sends the rain to fall and the sun to shine on the evil and the good. He does not curse, but only sends bounteous blessings. His people do curse, though, and God will honor requests which are justified (See D&C 98:31); thus, a curse befell the Lamanites. Hundreds of years later, the children of those who were cursed were now blessing the children of the very ones who cursed them. They were living the higher law, (or the "doctrine of Christ") before it was even preached. They were "children of the Father" and "children of Christ." Is it any wonder that the Lord appeared in Bountiful, which was in close proximity to where the Ammonites (Anti-Nephi-Lehi's) were living? Is it any wonder that these people were worthy vessels to house the Spirit of the Lord, which was later to be poured out to the Gentiles? Yes, there is much more to this story than a "liken unto us" devotional to be given once a year on a contrived Gentile holiday. You could say that at the heart of this story is the very essence and purpose of the Book of Mormon, and if we can discover and emulate the pattern, then great things await us! PS - If the Stripling Warriors "couldn't be killed," as you say, was this immortal state a temporary or permanent thing? Does it have anything to do with future events?